If you’re buying a printer, you are going to have lots of options. One of the first decisions you’ll have to make is whether you want to get an inkjet printer or a laser printer. At Laser Line in Jessup, MD, the printing professionals will help you navigate your options and decide which is best for your small business or large office. With more than 25 years of experience, the professionally trained and certified service technicians at Laser Line know printers. An inkjet printer creates a digital image by dropping spots of liquid ink through microscopic nozzles onto the paper. Inkjet printers do a great job of blending colors, so they are perfect for photos and image-heavy documents. However, inkjet printers are water-based; they are more likely to succumb to water damage and fading. Generally, inkjet printers have a lower startup cost, and inkjet cartridges are cheaper than toner cartridges. However, inkjet printers are pretty slow, and they have low-capacity paper trays, so printing at high volumes is a challenge. A laser printer creates a digital image by scanning a laser beam across photoreceptors. 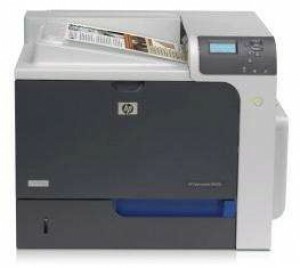 Laser printers are great for high-volume users, as they print fast. If you are primarily printing in black, laser printers produce sharp place tests and handle small fonts and fine lines perfectly. Although initially more expensive, laser toner cartridges print more sheets and are less wasteful than inkjet cartridges. Whether an inkjet printer or a laser printer is right for you often comes down to what and how much you print. Inkjet printers are great for small jobs and image-heavy prints, and laser printers are better suited for heavy volumes of text-heavy documents. For more information about the printer services offered at Laser Line in Jessup, visit the website or call (410) 636-1700.